Proudly introducing the latest in town "Jewelry Empire". This is the newest jewelry business with vastly experienced ownership and staff. 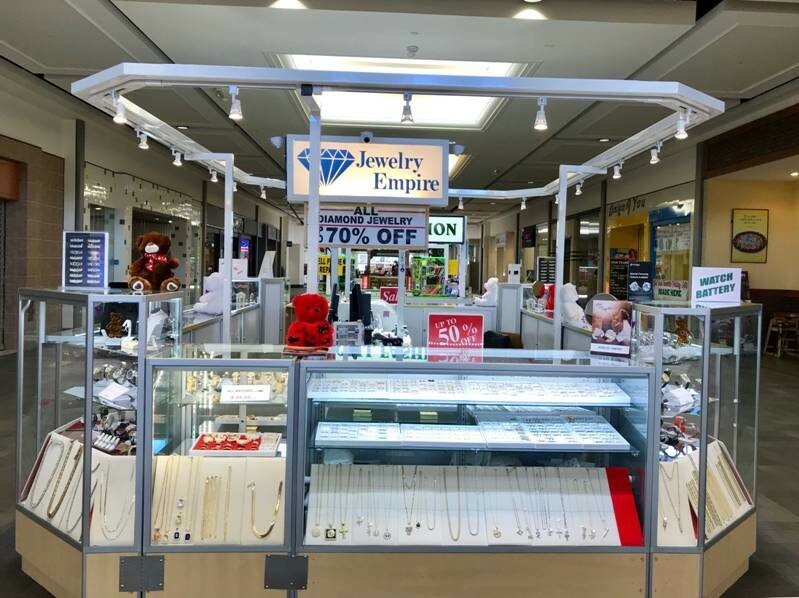 We offer a variety of the best 10k and 14K gold, sterling silver, stainless steel, diamond jewelry selection at the lowest prices! In addition, we offer easy affordable layaway plan. For more details, please visit our kiosk located in center court.